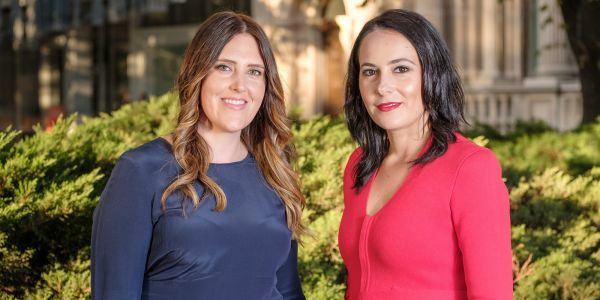 Earlier this year, Bachelor of Commerce alumni, Michelle Di Fabio (BCom 2006, BIS 2006, MOrgLead 2015) and Steph Barr (BCom 2006, BA 2006, BA (Hons) 2007), joined forces to bring their education consultancy, Incus Partners, to life. Michelle and Steph met on their penultimate year at University through the Commerce Students Society. They were reunited when they both joined the Alumni Council in 2010 and have been working together on different projects ever since. They share a passion for higher education and when they identified a gap in the market, jumped at the opportunity to turn their passion into a business model and Incus Partners was born. Deriving from the Latin word incussus, meaning listen and impact, Incus Partners takes a uniquely customer-centric approach to higher education. Offering an end to end service, their consultancy aims to ensure institutions are aligned to rapidly evolving market needs and adapting global best practices in the Australian market. Business partners Michelle Di Fabio and Steph Barr. The two entrepreneurs found a winning combination in their diverse professional backgrounds. Michelle brings a wealth of strategic experience after working in accounting and strategy consulting across financial services, retail, education and professional service sectors. While Steph, who has extensive experience in brand, marketing strategy and customer experience, brings a human connection to the heart of their business. They have a common interest; ensuring future generations have exceptional higher education experiences like they did, or even better ones. Michelle and Steph reflect fondly on their time as students. “I developed leadership skills through the group work and projects and enhanced my understanding of global business,” says Michelle. They both also highlight how getting involved during their undergraduate studies helped build connections that have been key in their professional and social networks. “Studying at the University of Melbourne provided a foundation for my global network, the friendships I developed and the people I worked with over my degree, now live and work globally. My exchange to the Manchester Business School in my final semester expanded my network globally and taught me about global markets and cultures” says Michelle.